Join Sammy on the Adrenaline Adventure of a Lifetime! 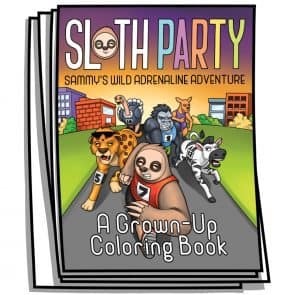 Sammy Sloth is tired of the other animals making fun of him for his slow, deliberate ways. Inside his leisurely heart lies the desire to burst through his shell and zip his way through life! 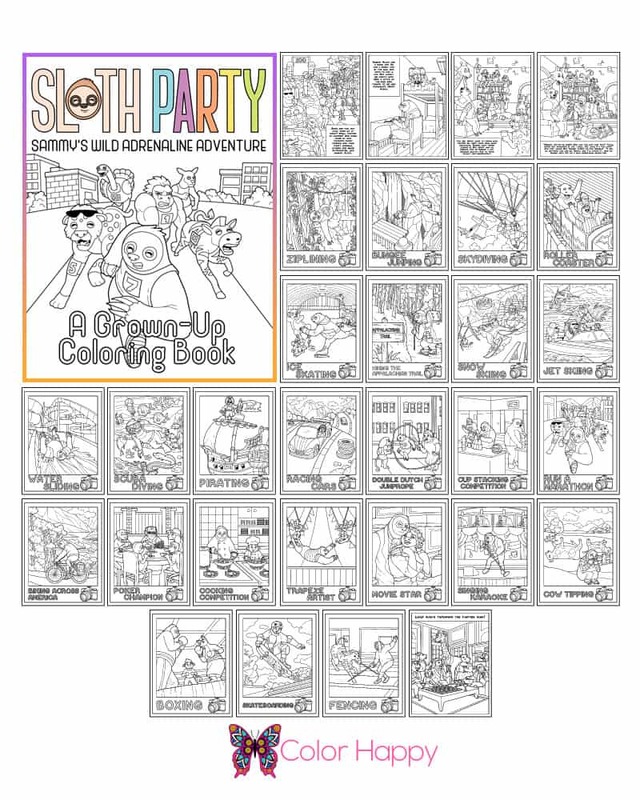 Color Sammy as he goes skydiving, cow tipping, poker playing, and more. All in cool sloth style.